Marketers continue to use email in their campaigns because it consistently outperforms other marketing channels every single year. And the proof is in the performance as email campaigns brought in a 4,300% ROI and earned $42.08 for every dollar invested in 2013. With business owners attributing 23% of their total sales to email marketing campaigns, email is clearly clicking with both businesses and consumers. These were just a few of the findings from the Direct Marketing Association’s 2013 Statistical Fact Book, which were summarized and supported by the 2014 Email Marketing Metrics Report from MailerMailer. Together, they send marketers the message about data details such as open rates, click-through rates, scheduling, and more. MediaPost.com provided a review of the results to help marketers make the most of their email efforts. The study found that the times emails were opened did not always correspond with the times they were delivered. But in terms of times for opening, emails were most likely to be opened in the early morning through noon, with open rates typically peaking around 10 AM and then slowly declining through the afternoon and evening. The message is clear that email is a proven and powerful tool in marketing that opens up valuable opportunities for results and ROI. 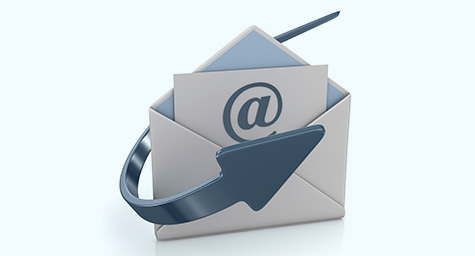 Make the most of your email marketing effort. Contact MDG Advertising. MDG Advertising, a full-service advertising agency with offices in Boca Raton and New York, NY, is one of Florida’s top interactive agencies and branding firms. MDG’s capabilities include print advertising, direct mail marketing, branding, logo design, creative, media buying and planning, radio and TV advertising, digital marketing, website design and development, online video advertising, infographic development, display marketing and retargeting, mobile marketing, email marketing, content marketing, lead generation, online reputation management, social media marketing, and SEO. For the latest trends in advertising and branding, contact MDG Advertising.